– WWE has announced a new licensing agreement with New Era Cap Co. Inc. As part of this new agreement, New Era will produce select hats for marquee WWE events, including WrestleMania, SummerSlam, Royal Rumble and Survivor Series, as well as select headwear featuring logos, names and catch phrases of WWE Superstars and Legends. The WWE-branded New Era caps go on sale this April. – “WWE 24: WrestleMania Big Easy” premieres this Sunday night on the WWE Network immediately following the Royal Rumble. The latest installment of the WWE 24 documentary series profiles last year’s WrestleMania 34 pay-per-view from New Orleans. – In just a matter of days, Sasha Banks challenges Ronda Rousey for the RAW Women’s Championship at the Royal Rumble. 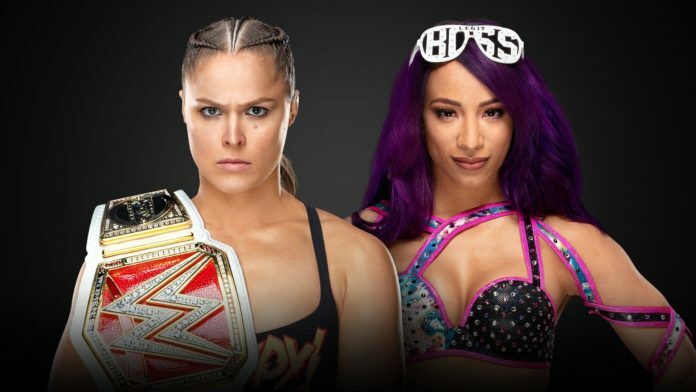 The two have been exchanging words on social media in recent weeks and The Boss has responded to Rousey calling her a “Faux” Horsewoman.